As geography would have it, to get to my new vacation oasis in Cottonwood, Idaho, I have to go through Montana. 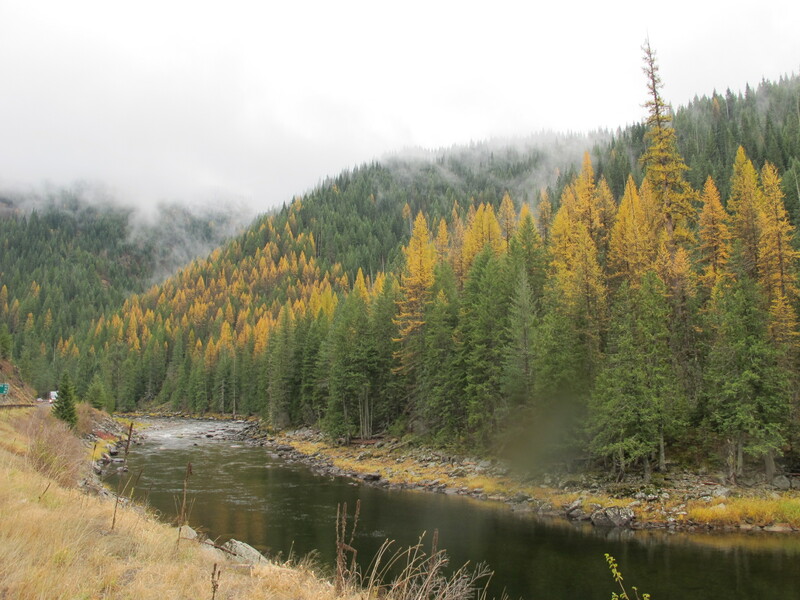 I hadn’t been on Highway 12 over Lolo Pass for a number of years, but I remembered it as a lovely stretch of blacktop that paralleled the Wild and Scenic Lochsa River, was rich with Lewis and Clark lore, and gave me my first glimpse of cedars in Idaho. Visions of tamarack and the Lochsa from Highway 12. Since my last visit, there has been much talk of Megaloads traversing Highway 12 to get to tarsands in Alberta, Canada. The gigantically oversized truckloads didn’t seem like the most logical fit for the narrow, winding highway with mountains on one side and a pristine river on the other, so I originally assumed the plans were a prank. Canadians and large corporations have such a dry sense of humor. Duncan is on the Montana side of 12, but my Idaho peeps took a new craftier tactic. 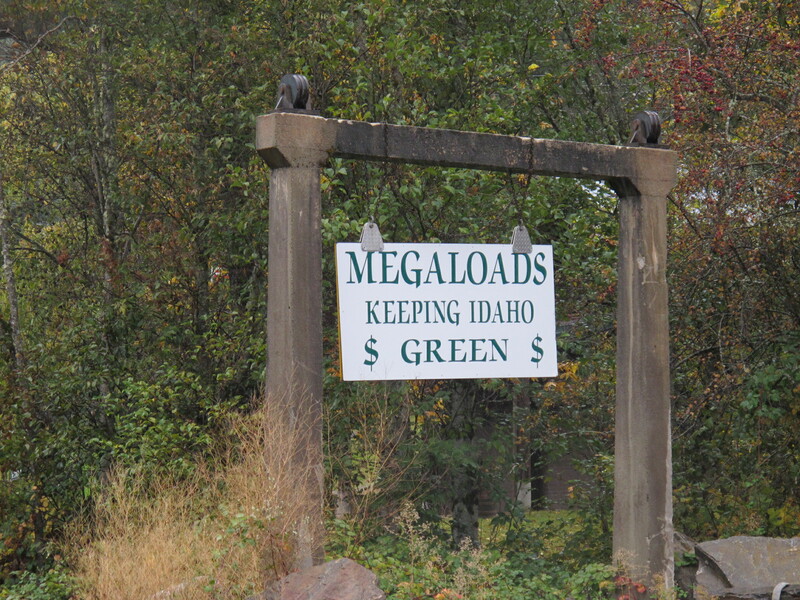 Megaloads — Keeping Idaho Green. Road sign near Syringa, Idaho. Around the bend from the pro-megaload cheer was a sign for a towing company.